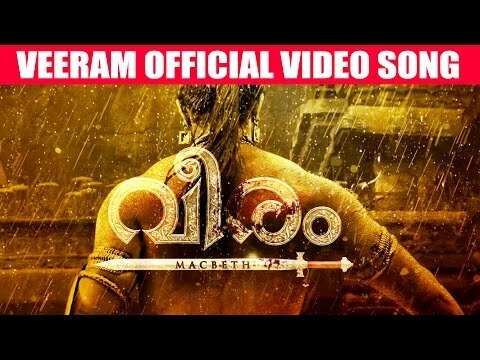 Veeram (English: Valour) is a 2016 Indian epic historical drama film written and directed by Jayaraj. It is an adaptation of William Shakespeare's play, Macbeth, and is the fifth installment in Jayaraj's Navarasa series. The film, which also takes inspirations from the Vadakkan Pattukal (Northern Ballads) of North Malabar region in Kerala tells the story of Chandu Chekavar (Kunal Kapoor), an infamous warrior in the 13th century North Malabar. Veeram is simultaneously made in Malayalam, Hindi, and in English with the same title. Principal photography commenced on 5 January 2016 in Thiruvananthapuram, where it was mostly shot, with other locations being Agra and Aurangabad. The film premiered at the BRICS Film Festival on 2 September 2016 in New Delhi, and is scheduled for a theatrical release on 2 September 2017.